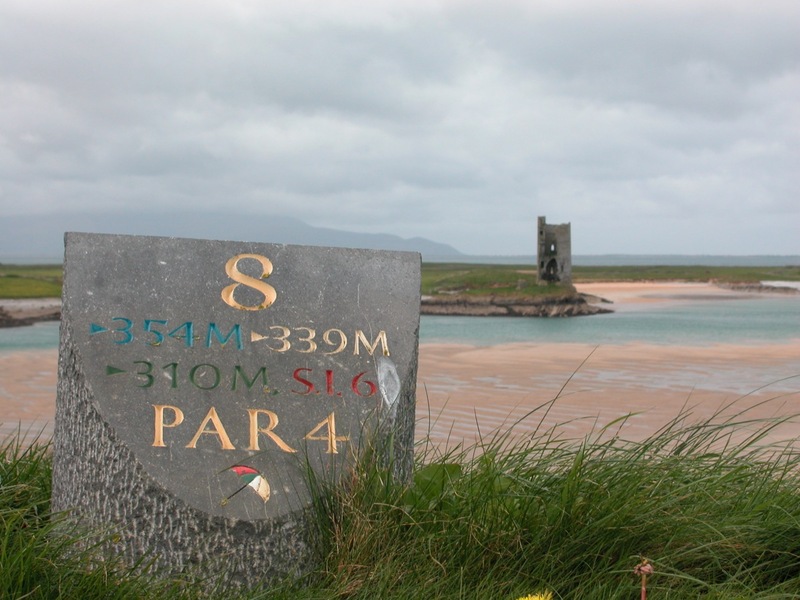 At Tralee Golf Club, located at Barrow Point about 20 minutes from Tralee in southwest Ireland, Arnold Palmer has delivered golfers worldwide his own “Rose of Tralee”. 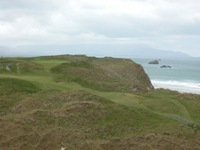 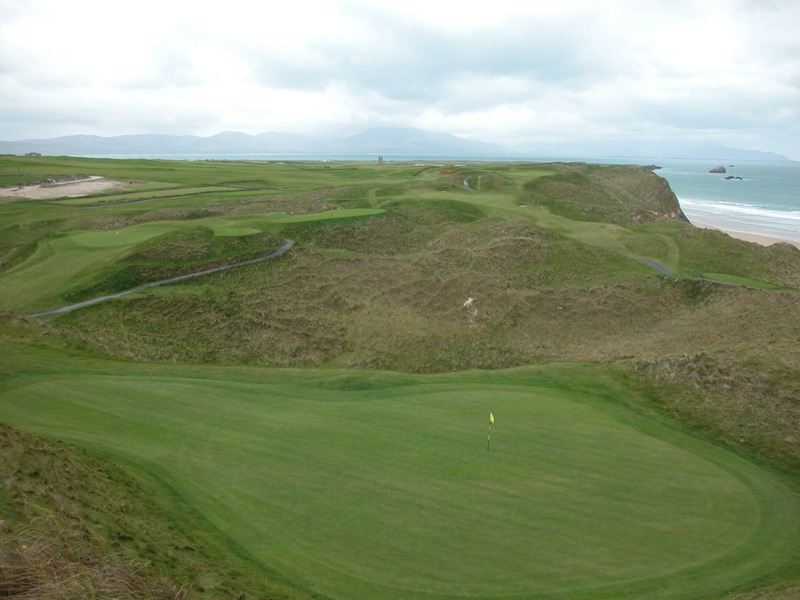 Tralee Golf Club is one of the world’s most visually stunning golf courses, and it has a split personality. 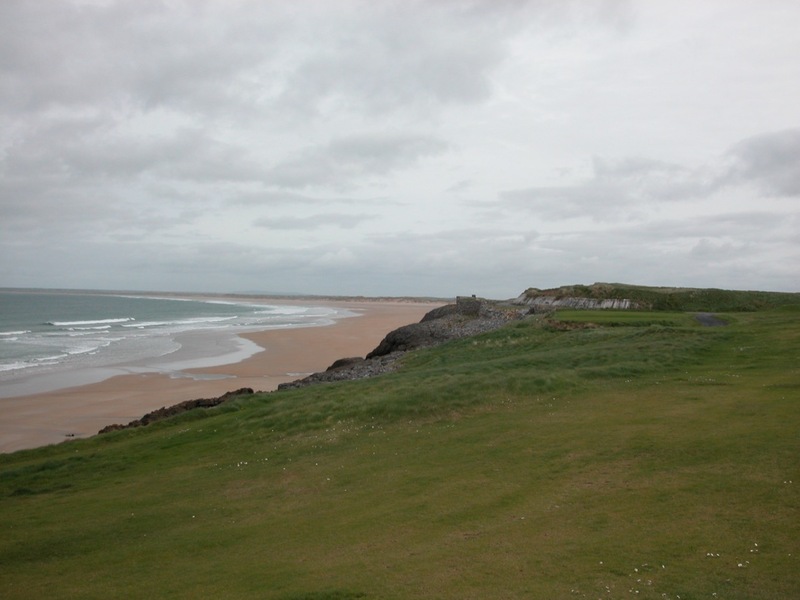 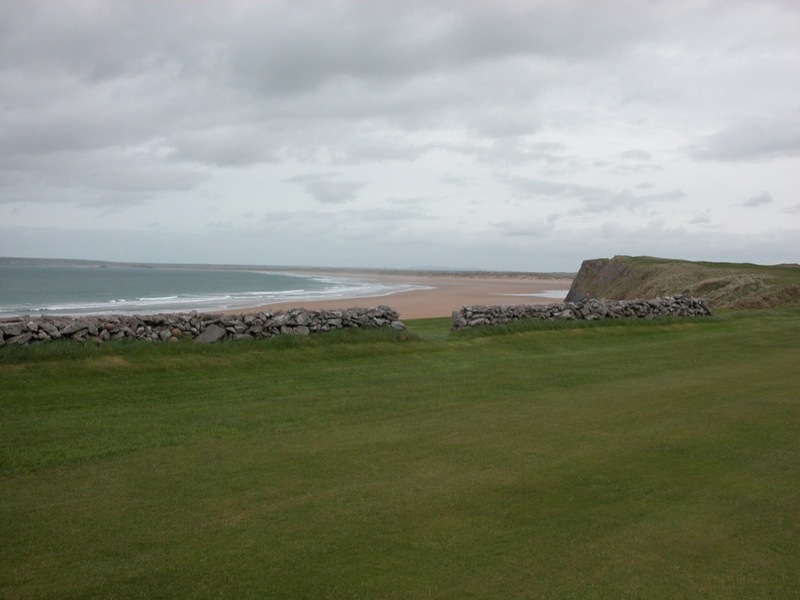 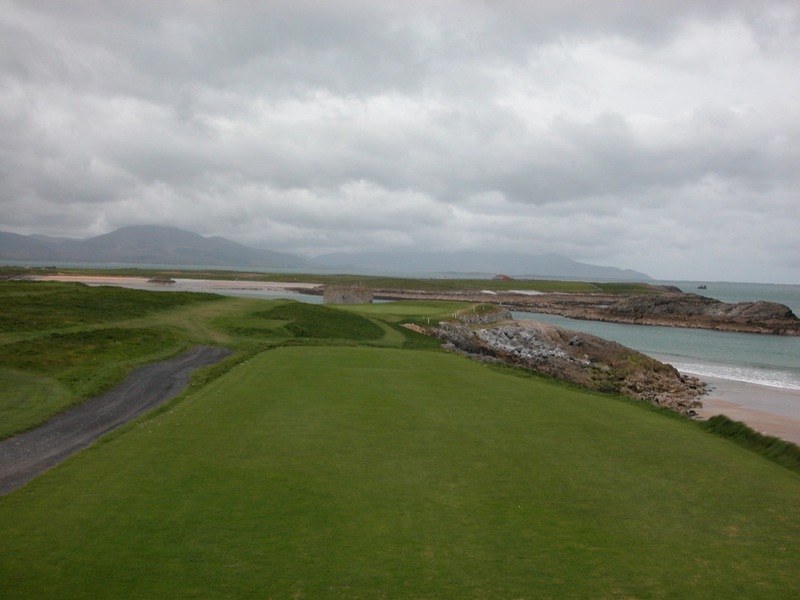 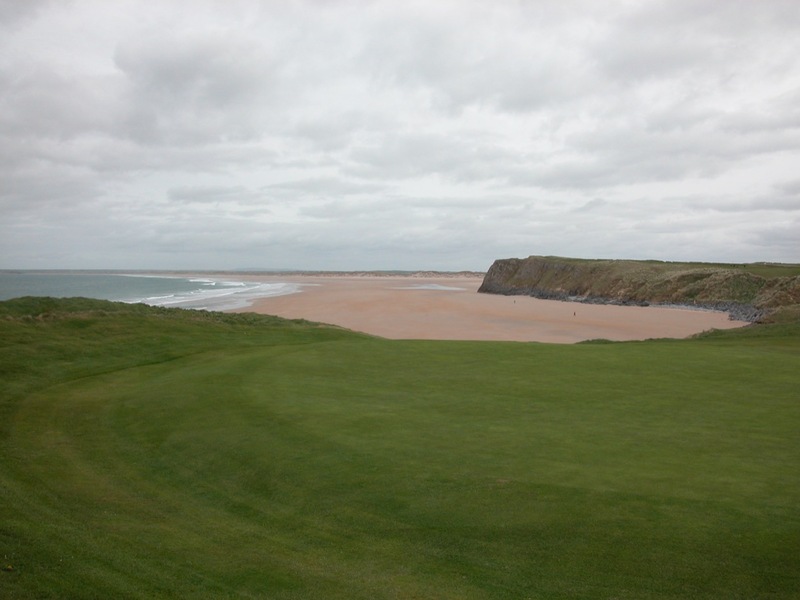 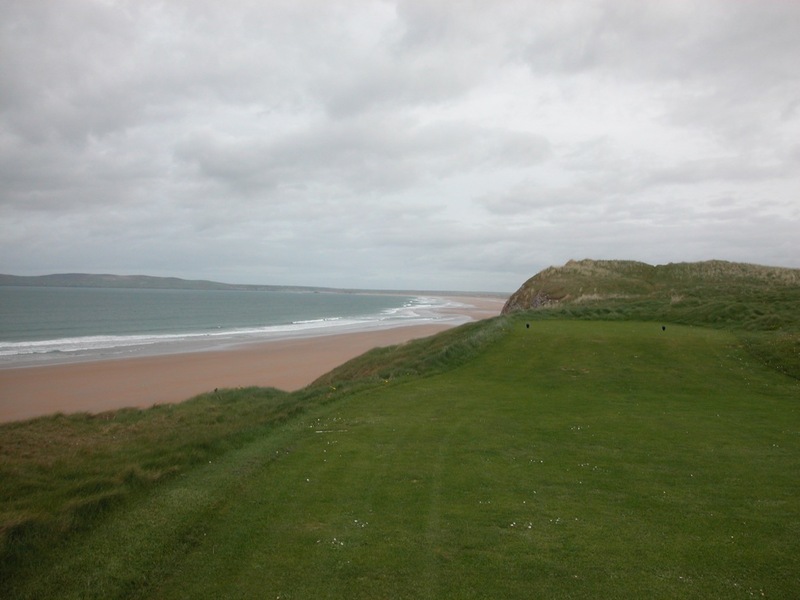 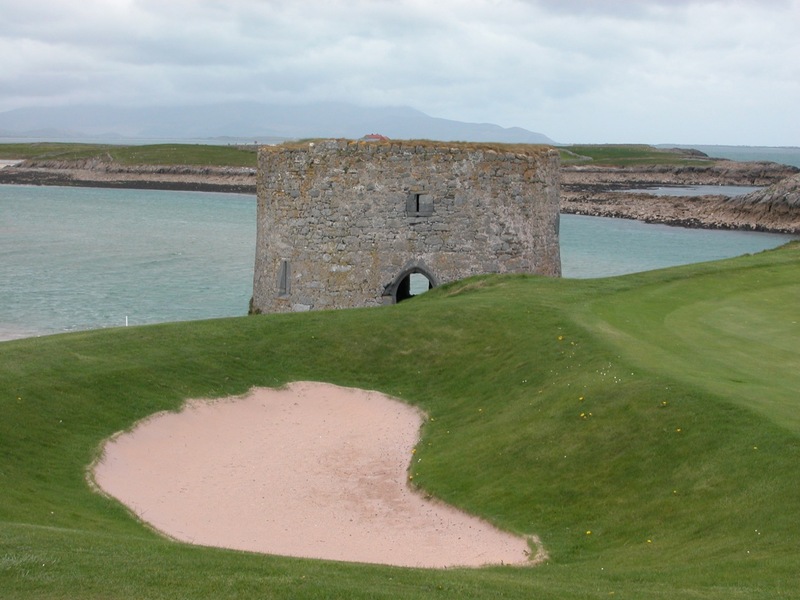 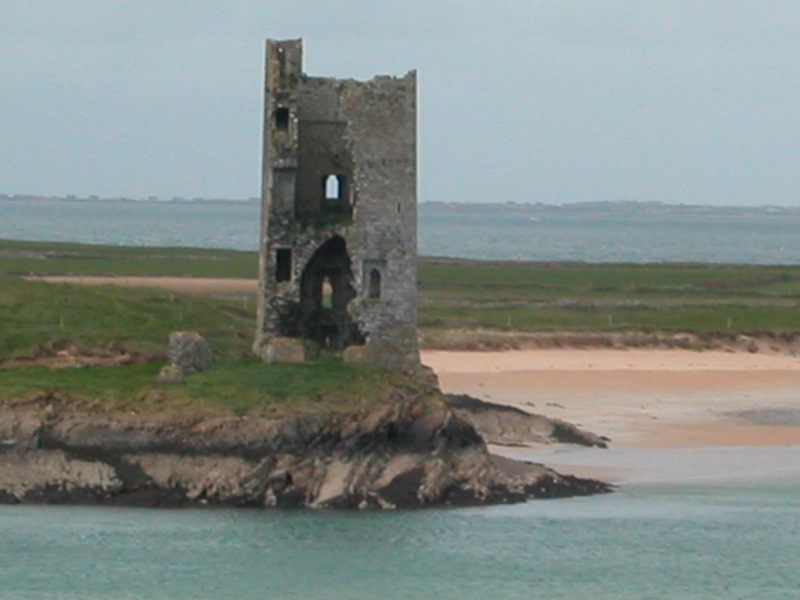 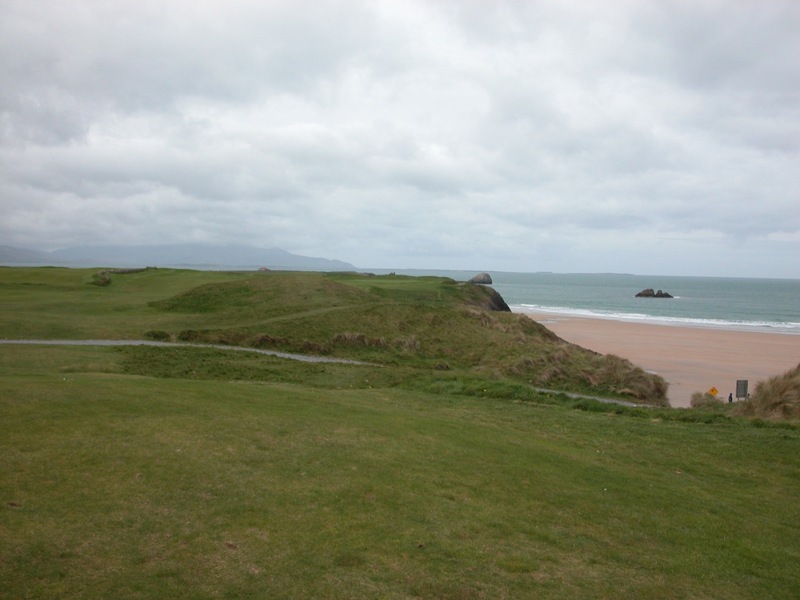 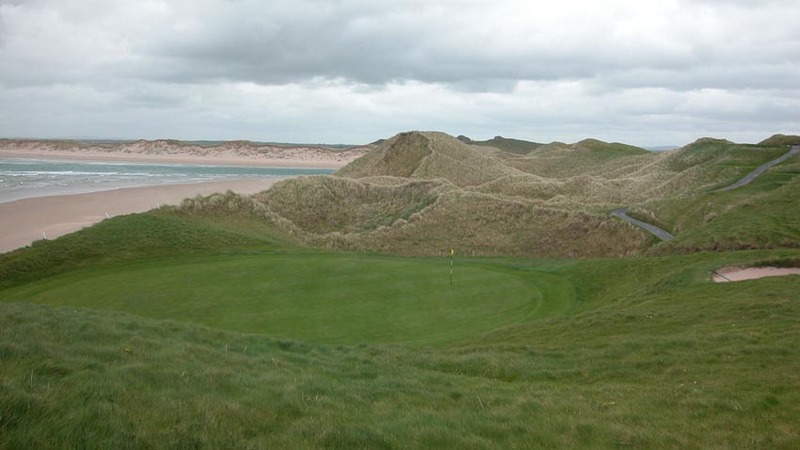 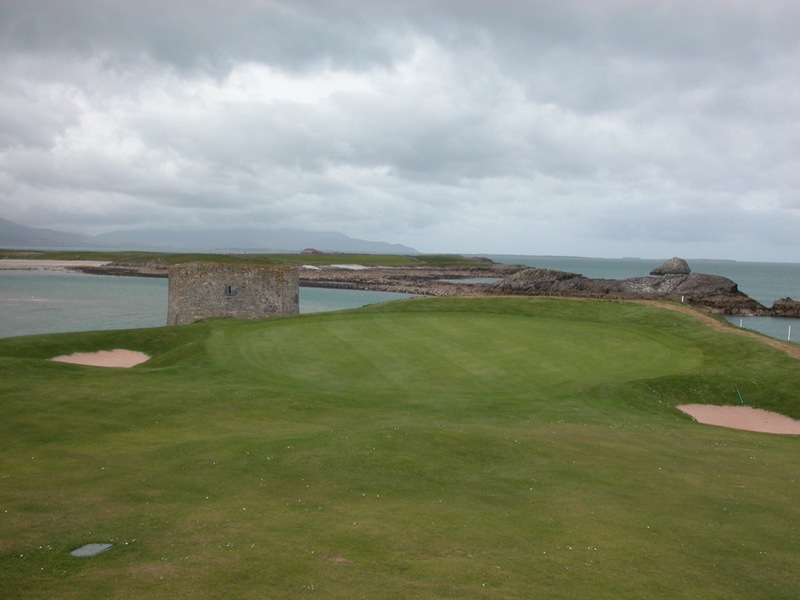 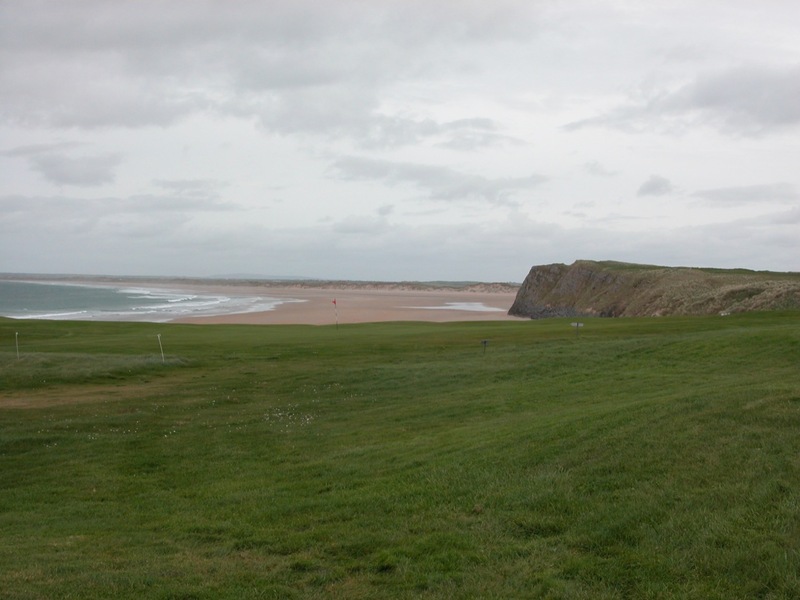 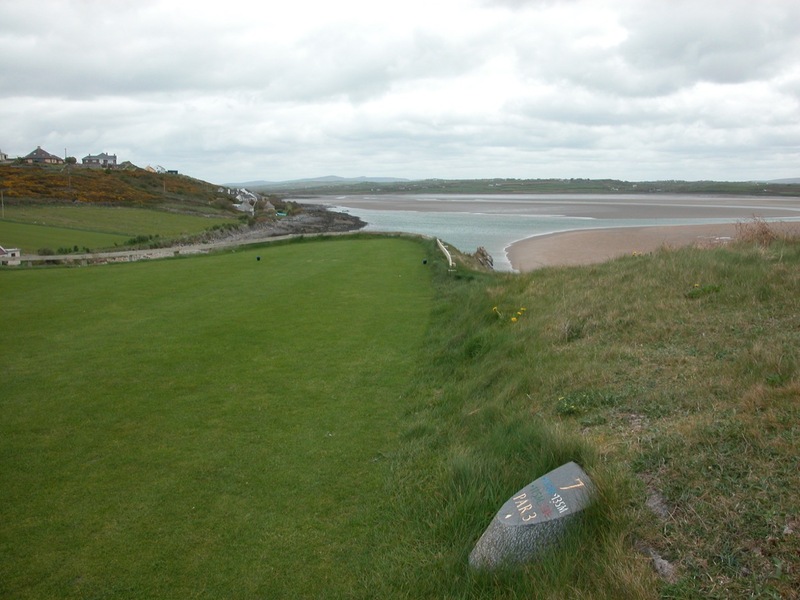 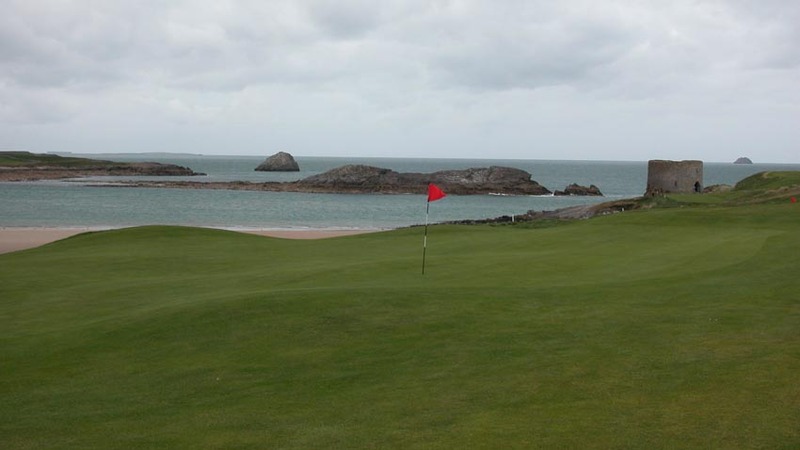 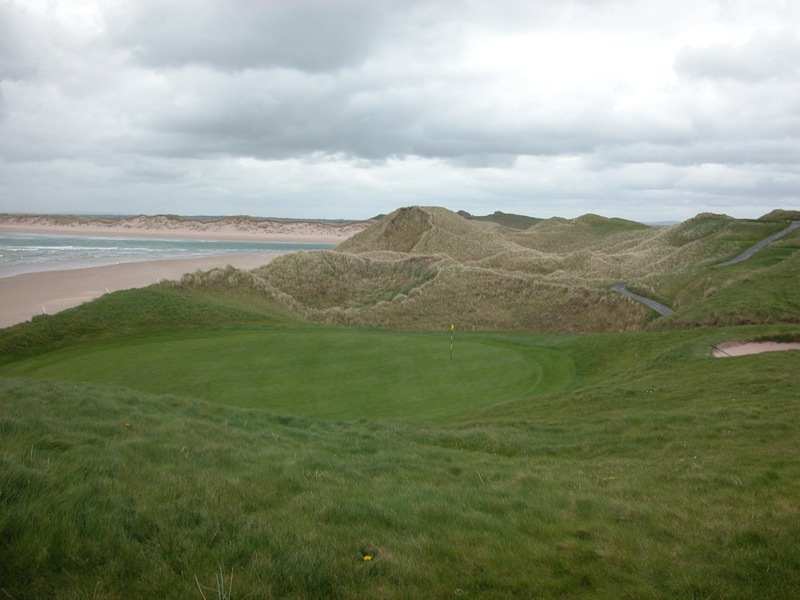 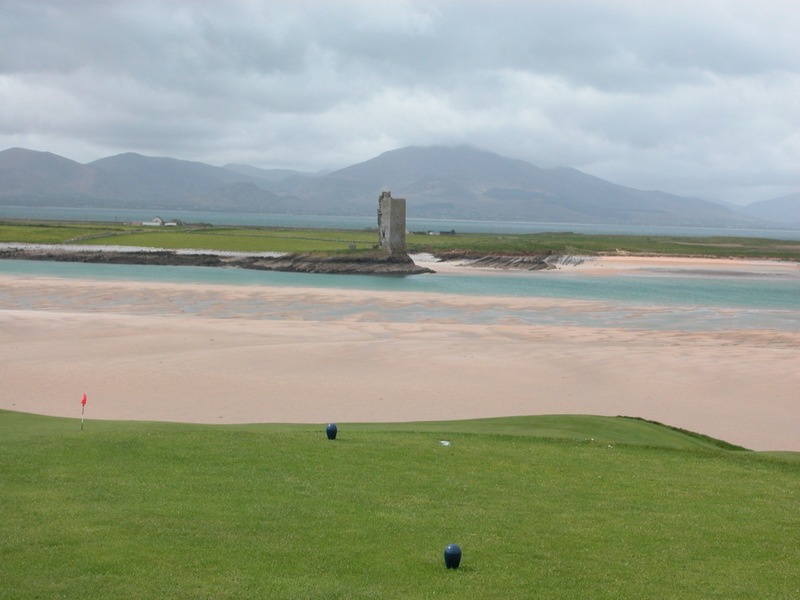 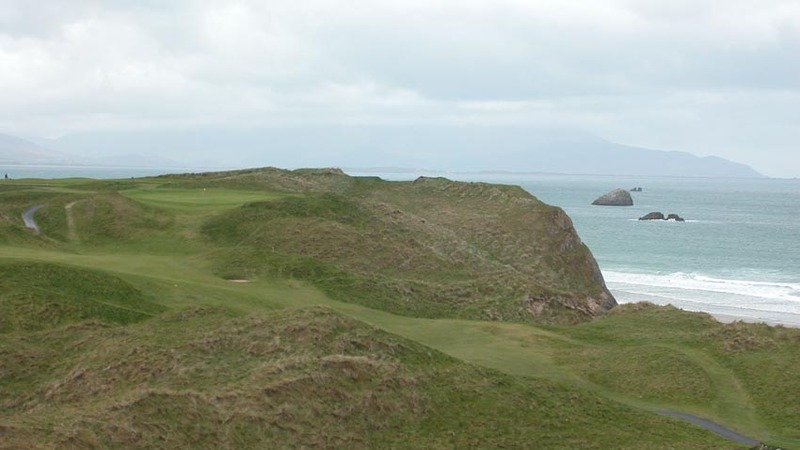 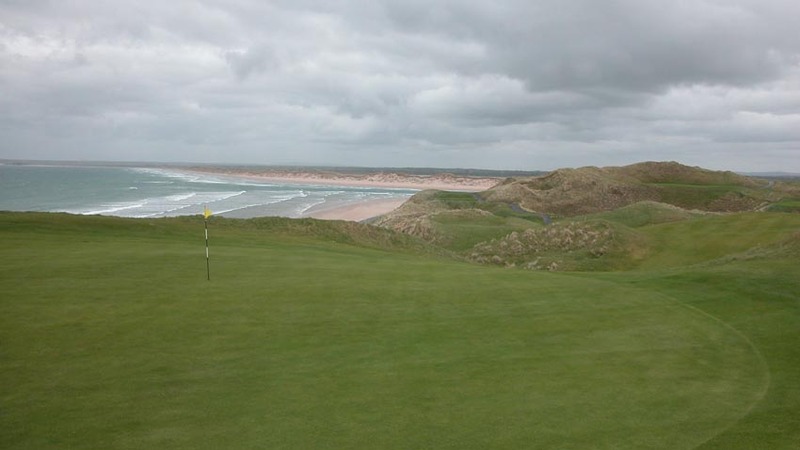 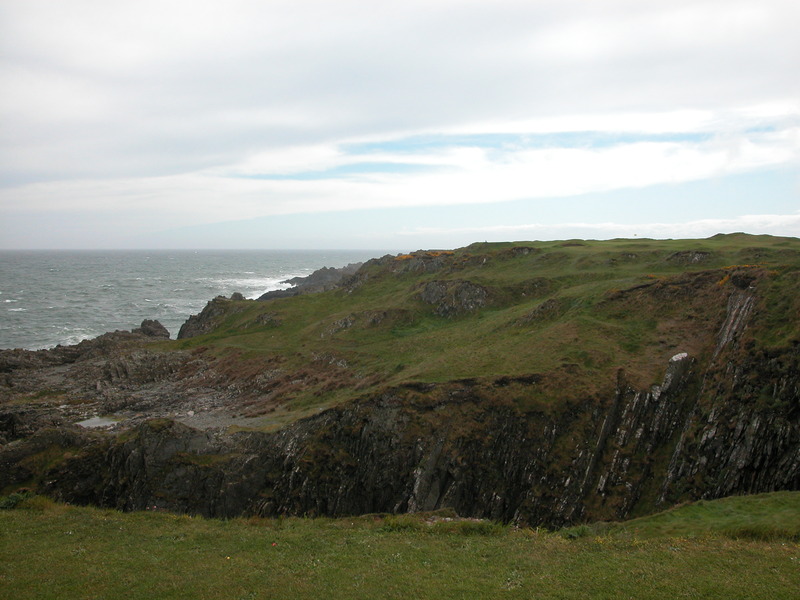 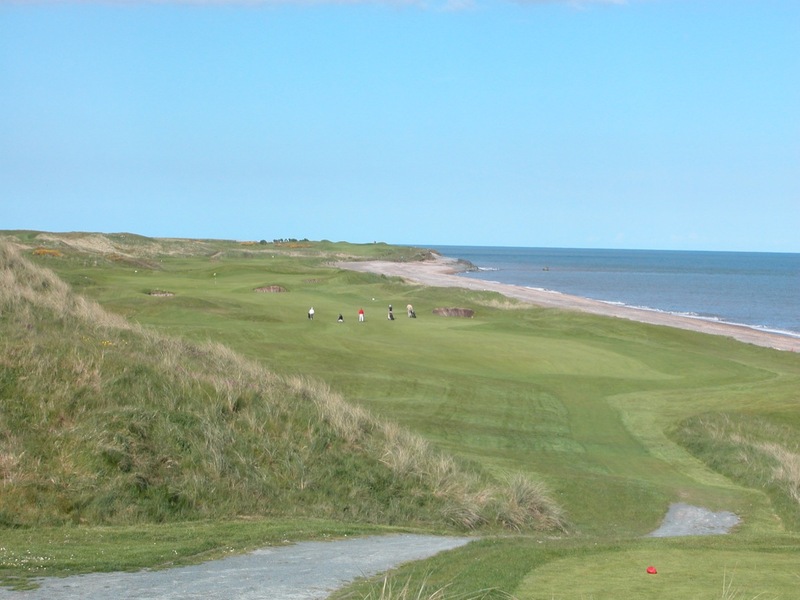 Tralee’s outstanding front nine lulls you to sleep with stunning views of the pink beaches (featured in the film “Ryan’s Daughter), turquoise sea, and castle ruins, setting you up for the back nine, the single most difficult nine holes of golf we have ever played. 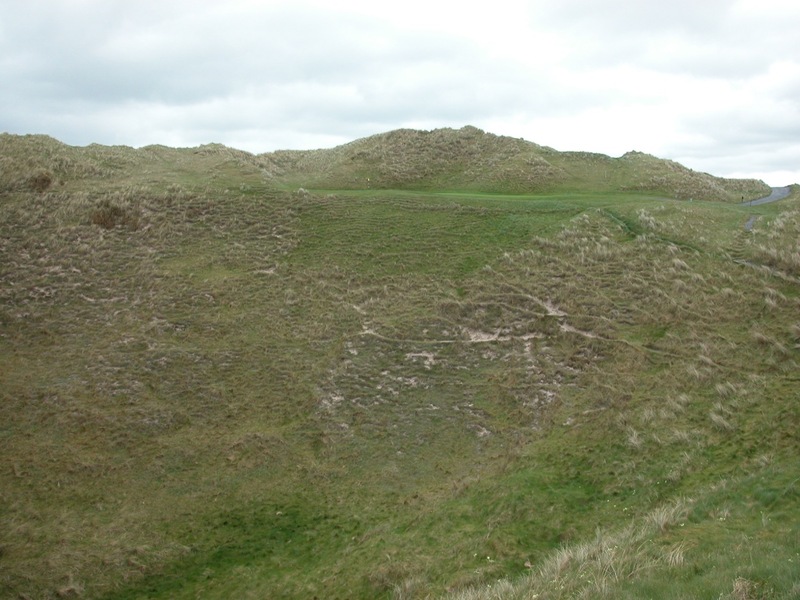 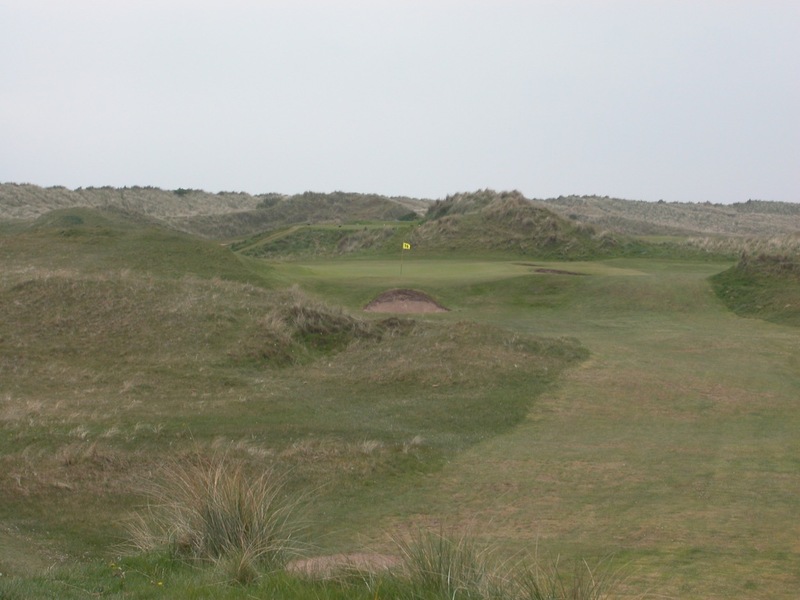 Meandering over unspeakable dunes, the back nine at Tralee Golf Club delivers arguably the most punishing, exacting, and penalizing series of holes in all of Ireland if not the entire British Isles. It is not for the feint of heart, especially Tralee’s par-3 13th, over Brock’s Hollow, where short is simply not an option! 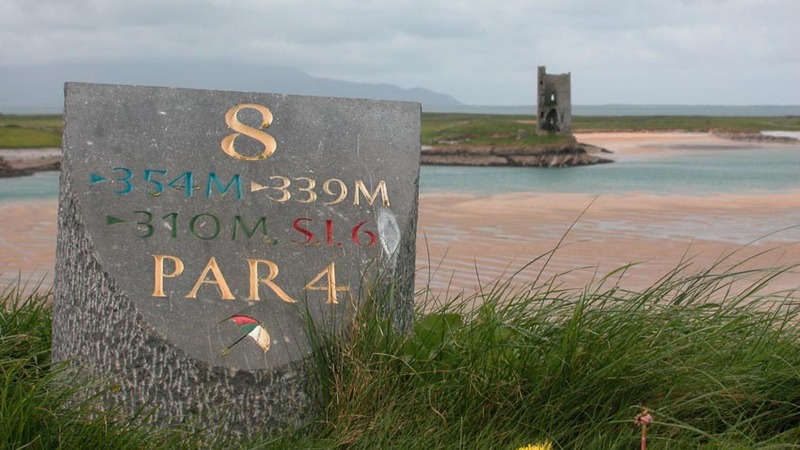 Says Arnie himself, “I may have designed the first nine at Tralee Golf Club, but surely God designed the back nine!” Tralee Golf Club is one of the best in Ireland for taking caddies, as many are members of the club. 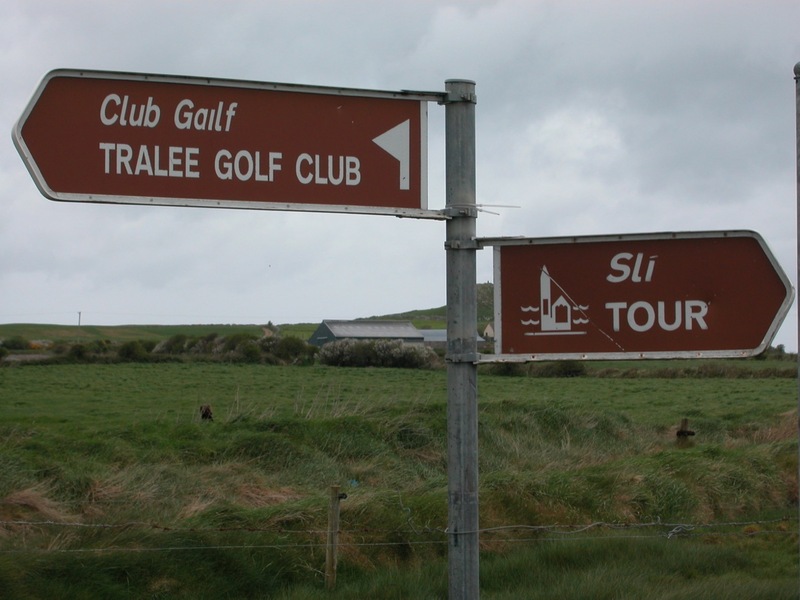 The town of Tralee is an underrated base for the area, as it puts you close to Ballybunion and Dooks, and within easy reach of Ceann Sibeal out in Dingle. 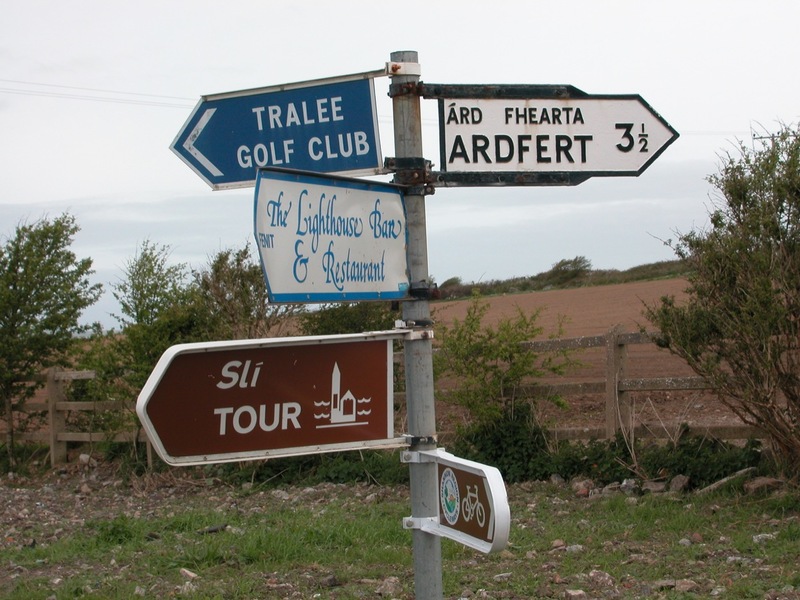 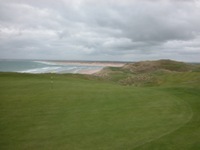 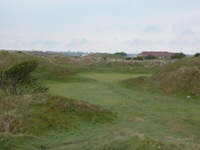 But wherever you stay, make sure Tralee Golf Club is on your Ireland schedule!